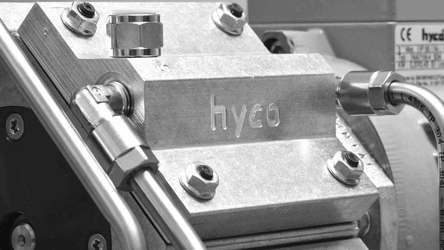 With hyco® standard pumps, cylinder heads, valve plates and diaphragm discs are made from aluminium. A cost-effective, high level of chemical resistance can be achieved through coating the gas-conducting aluminium components. hyco offers only the chemical nickel coating with a coating thickness of ca. 15 microns. This is absolutely non-porous and is applied with the same coating thickness throughout. 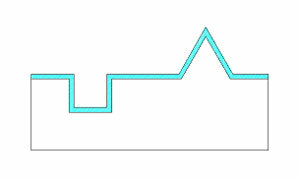 In contrast to galvanic nickel coatings, there are no weak points or points-of-attack on corners, holes or threads. 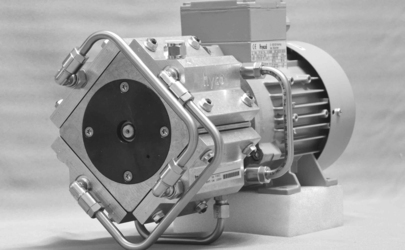 Enjoy the benefits of the hyco diaphragm pumps for your area of application!